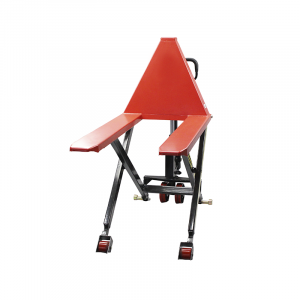 Our High Lift Pallet Trolleys allow for ergonomic handling of goods. Super handy and robust with big 1000 kg lifting capacity and tested to CE, TUV and GS European Standards. Ideal for distribution and sorting operations. Single stage cylinder means no decrease in capacity or risk of leakage. 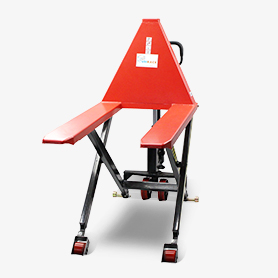 Front and rear stabilisers provide increased safety by reducing the risk of tipping.